Get the best from the camera you carry every day. Complete with our "how-to" videos right on your phone, so you don't need to write a thing. 1 year come back for free guarantee - don't worry about remembering everything! 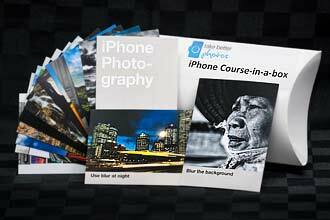 Includes our unique video cards, explaining the course techniques right on your phone.